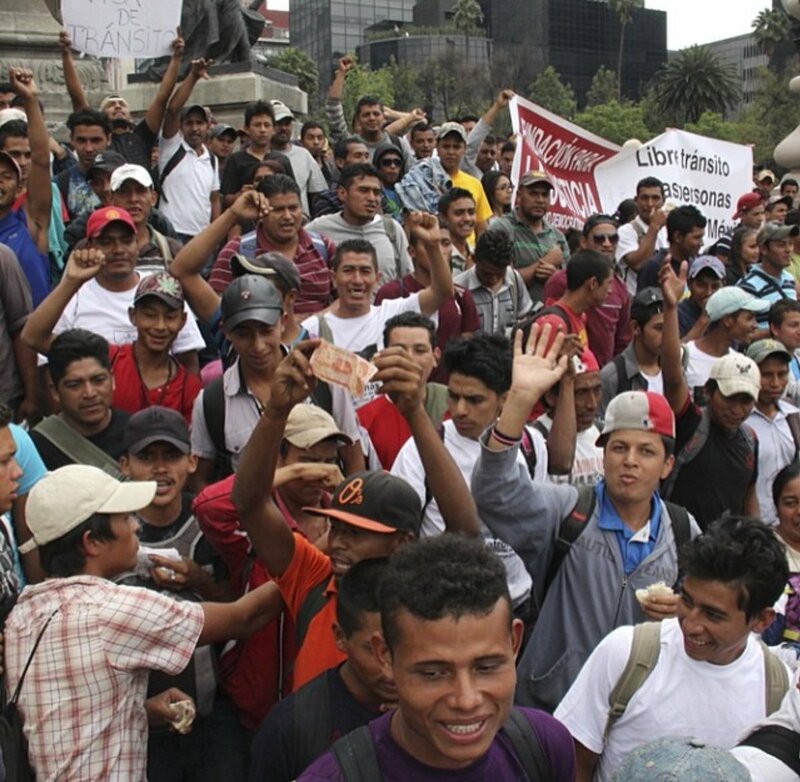 The 7,000 invaders have broken through Mehico and are now just days from the gate. Trump needs to deploy the army, then what? Here is a simple 7 point plan. 1) ICE gets a $500 bounty on every illegal caught within the usa and the border patrol gets $100 for every illegal sneaking across the border. Move the military to patrol the open borders. Take 30,000 troops from Europe and another 30,000 from South Korea. Put them where we really need them. 2) Apprehended illegals get put into large trucks and taken to large camps. There is no AC, minimal boring food. Where they are from and why they think they are deserving of asylum is taken down in writing. A judge makes a quick review of the written applications and selects which if any deserve going forward to trial. If they legally should have sought asylum in a prior country they are turned back. Each judge should process 200 applications a day, so ten can manage 2000 a day plus trial times. A team of an additional 10 trial judges will hold trials. 3) The ones not approved are put in large trucks and taken to large ships. They are shipped the the furthest away medium sized town and given $20 for food/water. We should arrange for 100 barges to move people constantly. Each barge should hold 1000 people. Until purchased, mothballed WWII ships can be used. 4) Trump will issue an executive order requiring one parent to have a SSN number to allow a birth to get a SSN. He will also increase the penalty for false SSN numbers to a year in general prison minimum. All aid and welfare programs will require a valid SSN and any state aid as well. 5) Require all banks to only open accounts with valid green cards or SSNs. No more doing business with illegals. Require a SSN or green card number to be reported by all Landlords. Any hive activity must be reported to ICE (20 invaders to a house). 7) All companies who do business with or contract for the US government must use eVerify. Next Next post: Another MudShark Dies, Should We Cry?